For most Asians having a wok is a must because most of the meals here are stir-fried. The method of cooking produces delicious meals. However, if you want to cook the Asian style you need a wok. The wok normally has a round bottom which means that most of our flat stove surfaces can’t accommodate. This means that as you are cooking the wok may wobble making it hard to cook and it may sometime lead unprecedented accidents. You, therefore, need something that will keep the wok in place as you continue cooking. A wok ring will do this for you. The article highlights the best wok rings in the market for you to choose from. A wok ring is also known as a wok stand. They are the items that will keep your round-bottomed wok in place over a flat cooking surface. They also regulate the heat by making it concentrate at the bottom side of the wok. Wok ring come in different shapes and styles just as the stoves come in different shapes and styles. The woks are made from stainless steel, cast iron, wire and carbon steel as you’ll see below. This is designed to hold specific woks sizes in place. They can also hold your platters or plates thus helping you in the service of your meal. They are generally the multifunctional wok holders. To mean, they work as wok holders for cooking and service. These are by far the most popular wok rings available. They not only keep your wok in place but also concentrate the heat at one place. They are therefore good for high heat cooking. Aside from that, the material used here is very strong making it a durable piece. For increased heat as you cook buy the wok ring with holes. It features the extension that you can replace the burner grate with to stabilize your wok. You place it in your burner to use. Whenever you are using a gas stove, its best to use wok rings. You see, the gas stove produces an open heat flame and it’s only the wok ring that can regulate the heat and concentrate it at one area to allow for high heat cooking. When you concentrate the heat at the bottom of the wok, it can either be too high or low sometimes. If the heat is low you need to maximize the heat to reach the food. When the heat is high, consider reducing the heat for ideal cooking. The induction wok rings, wok rings for electricity and other surfaces. The regular cooking surfaces make cooking using a wok tricky. I always refused to use a wok rings over my electric stove top for fear of scratching the surface. You can use the wok rings on this surface as long as you are careful not to scratch the surface. As for induction surfaces and glass surfaces, they make for heat sources that usually produce minimal heat. This means that using a wok ring over them will make it hard for heat to reach the bottom surface. The best advice is don’t use the wok rings on such surfaces and if possible don’t even use the round bottom woks. What I love most about this wok ring is that its skid resistant. Made of cast iron the ring cant be deforemed easily thus its durable feature. 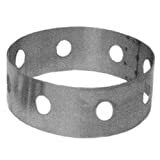 This is your gas cooker ring that will fit in most if not all gas hobs however you must confirm the size and ensure that it fits your wok. Its further corrosion resistant and effective making your wok stable and easy for use whenever you are cooking your meals. Its safe to use thus you forget about the wobbling of your wok as you cook. It’s not high above the heated surface which means you will use your wok easily without worrying about the heat not reaching your wok. It’s ideal for the round-bottomed surfaces as the bottom part is in contact with the gas heat. Maintaining it is further easy as you only need to wipe off the food scraps then store in a cool dry place for later use. You will never think about cooking your favorite meals and balancing the wok over the heat source again. With a reasonable price, there is no reason why you shouldn’t buy this item. Here is another ideal wok ring that offers durability and stability at the same time. The 10-inch wok ring will only be used if you have the 13-inch carbon steel wok and on a gas top surface. This is also easy to use since you can clean it in a dishwasher as opposed to only hand washing it. 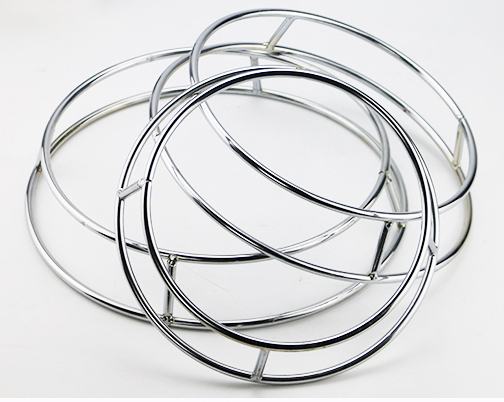 Stainless steel rings are purposely bought to maintain the heat at the bottom area. The wok ring will subject your wok to a high heat. The holes have the purpose to ensure even heating and also high heat level. This ring is best suited for your 30 cm diameter round bottom wok. It offers real stability to your wok making it easy to cook all your favorite meals. One point of consideration though is that you should always make sure you have the wok ring in place before you begin using it. The wok is made using a strong and heavy cast iron. It features a strong construction and it will cradle your wok over the burner giving it a steady place to rest. It works best with your whirlpool gas range burners. The item is durable and corrosion-free. It’s also stable and ideal for your round bottom woks. It’s not high above making it hard for the heat to reach the wok and ultimately food. Before buying it confirm that it works with your burner choice. This is the type I use at home because I have a gas stove. 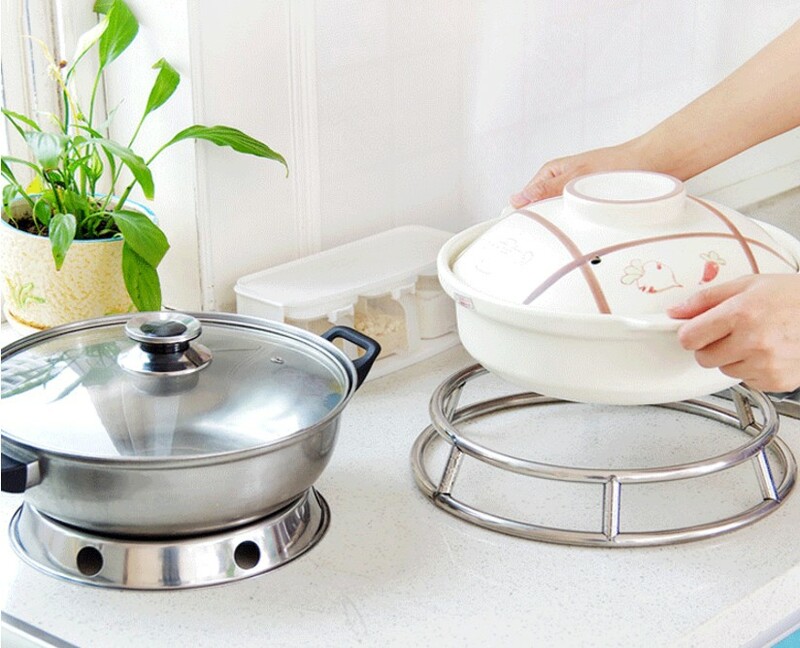 The high-quality stainless-steel wok ring will not only keep your round bottomed wok stable when you are cooking but also keep the wok stable as you are serving in the kitchen. You can use it at home and even in your food business establishment. It features a sturdy construction of the wire frame and its durable to use. Although some writers claim that you shouldn’t use the both side of the ring to hole your wok I comfortably do. And the wok remains stable on the stove whether I’m using the larger or smaller side. Made of cast iron the wok ring is rather small compared to other ones in the market. Although it’s small it compensates the size with a strong sturdy material used to make it. The material assures you of long service. The wok ring is further universal for use as you can use it on stovetops, grills oven and campfires. Its size which is a 17cm outer ring and 16 cm inner ring diameter fits most of your household wok designs. It’s easy to maintain as you only need to handwash it then keep it cool and dry. The ring is further corrosion resistant. What’s more, since it replaces your burner grate, it reduces the gap that is normally above your burner. Which means that the round-bottomed wok has access to high heat and that’s what is needed for most Asian stir-fries. Furthermore, you can use the ring even when you want to cook with the small pans. Here’s to another useful yet handy item for your kitchen use. It’s light thus eases mobility and reversible which means you can use both sides. It covers for round bottom wok stability and allows maximum heat to reach the wok surface. Made of top-drawer steel, its durability is unquestioned. Yet, it covers such a small space with its sleek and stylish design. It’s easy to store the compact design of wok ring. You could use it on your gas tops or electric surface. Talk of a wok ring from a winning brand name JOYCE CHEN. When it comes to the wire wok rings then this is rather among the best in the market. If we will go with the brand then we are sure that Joyce Chen products are of high-quality. They are also versatile as they have the Asian feel but you can easily use them even if you aren’t from Asia. This wire wok is designed to fit any wok size bottom. You can use it on your stove tops cooking but it will also help you during the service. For the larger woks, you could reverse the wok ring to suit the wider wok bottom. 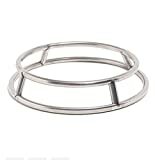 The chrome steel features an ergonomic design of ring from a highly reputable brand. Use it on your gas stove top. When you have a problem with the height, consider removing the burner grate and placing the wok ring instead, on the gas counter or magnet. This reduces the gap between the heat source and your wok. For cleaning the wok ring, never place in a dishwasher rather handwash it. I never thought we could have a large wok ring that can hold a big wok before seeing the town foodservice ring. 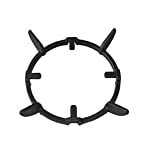 At 18-inch diameter, this ring is best used for commercial purposes. You can use it for your woks that have a diameter of about 24 inches. I know its stable because I have seen it at work in my neighboring food establishment. From stir-frying, to braising and to searing cooking has never been made easy. Made of stainless steel the item is durable and corrosion resistant. The strong stainless steel was rightfully used to make this wok ring because in a food establishment, you will find that the ring is frequently used. The ring should be everything but weak. Like most other stainless steel wok rings, it has holes on the sides to aid in the even heat distribution. 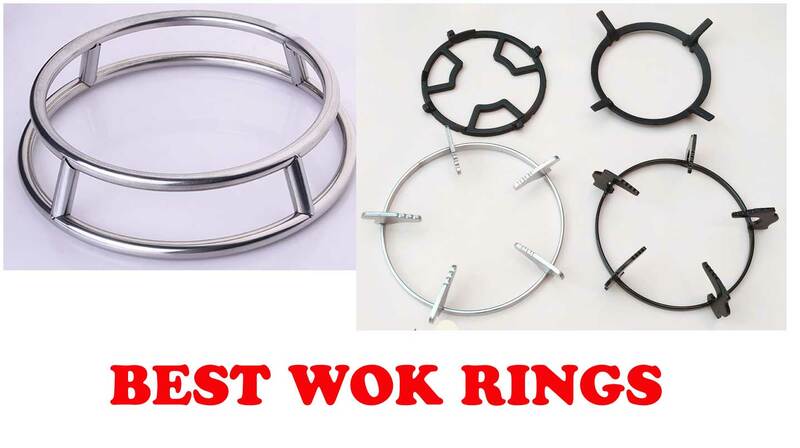 If you know of a chef who has been looking for a wok ring, this is your time to give them this easy to clean and maintain wok ring. It goes without saying that stovetops will differ. This means that you can have the stovetops that have burner grates that fit any cooking item including the round-bottomed wok. They really don’t need a stand to stabilize the wok. In such cases, whenever you are stir-frying, you only need to hold the handle thus enhance the wok stability. On some gas stoves, you have no choice but to fit the wok ring for enhanced stability. Depending on the kind of ring you have, some you may remove the burner grate or fit the wok ring on the burner grate. I often fit the wok ring on the indention of the gas this is to make the wok close to the heat source. Note that, you will have different sizes and depths of the wok rings. You should fit the wok ring with the wider side facing up and the narrower one fitted to the burner or gas indention. You then place your wok above the ring and switch the heat on. 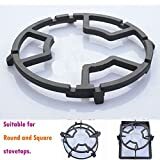 Consider buying the rings that have open holes if you are using gas stoves and the closed ones for your electric stoves. The closed one directs the electric heat to the wok. My wok is made of cast iron and it‘s at 16 inches. It’s also round bottom. It works best when I need to shovel or toss things around. Its also designed to easily heat up and lose that same heat. When using your stove to cook anything with the wok, begin by heating the wok before you add anything. So, you simply place the wok on the gas source and switch the gas on. Next, add oil and let it be smoking hot. Make sure the oil covers the entire surface of the wok then you can add the onions and go about stir-frying your food. Note that, you should let the wok heat up first before adding oil. This helps to prevent the tendency to stick. Remember as you stir the food, it cools the wok heat so whenever the sizzling sound goes down you should also go easy on stirring. There are flat bottom woks which you can use for induction surfaces and any other flat heating surfaces to avoid scratching or scraping the different flat wok surfaces. If you will use the gas stove heating source, consider using the smaller burners than the wok to jet the heat at the bottom of the wok as opposed to the sides where the heat is not so needed. No matter what, you want your wok to be directly below the grid so if your grid can’t keep your wok in place, buy the wok ring. It’s best to use the wok ring if you have a heat source that releases high heat that can reach the wok bottom with ease. Because when using your wok to cook, the most important aspect of consideration is the heat. You need a high heat when using the wok. Remember that you can use the wok ring whenever you are using pans with a round bottom surface. More specifically its ideal for wok burners. If you will be cooking using your wok, you should know that cooking methods like stir-frying takes roughly five minutes. So, prepare all the ingredients you will need in order. Have everything you need in place and well arranged. Whether you are using a wok ring or not you need to have the wok as close to the heating surface as possible. If your wok is new, you will need to season it first. One method of seasoning is where you place the salt in the wok and swirl it over high heat for about 20 minutes. To finish the seasoning, use an oil that has a high smoking point. Before you place anything in the wok when pre-heat it. Then add the oil and let it heat up to a smoking point. I can’t stress this enough though it goes without saying that you should use high smoking oils when cooking with your wok. Whenever you are using the wok to cook, you will find that it produces a lot of smoke which means that you could easily suffocate in a house without proper ventilation. If possible open the windows before you begin cooking. When wok cooking, there’s a half mark that you should never fill the food past. This helps your food to cook quickly and evenly. As earlier stated, it reduces the heat and has a great effect on your end product. It also allows for even cooking and avoids overcooking. Remember to clean and take care of your wok as indicated in the link below to give it a longer lifespan. Check out my the ultimate guide to caring for a wok. The wok ring is made using about 4 different materials. Each material as we had earlier discussed has its good or positive side and negative ones. 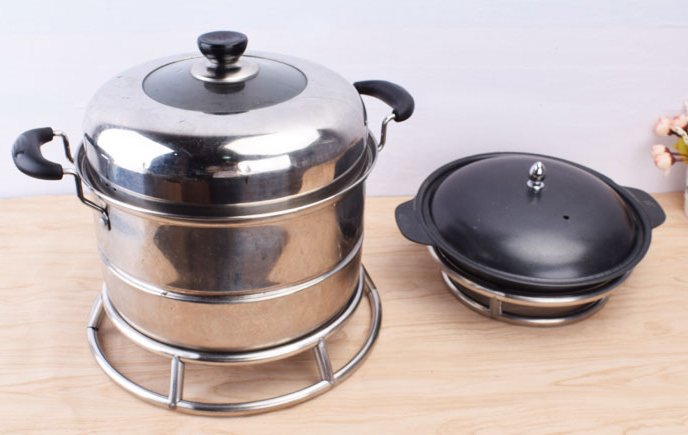 Stainless steel: is one of the best materials to buy because its durable and it makes sure your heat is concentrated at the bottom of the wok. Cast iron: features a sturdy construction and it is also durable. you can find those that are universal for use on any kind of stove. I love it because it mostly keeps the wok close to the heat. Which heat source will you be using it on? This is a question you must ask yourself before you buy the wok ring. Different heat sources produce heat differently. Nevertheless, consider using the wok ring with the gas open flame. Other surfaces like the electric plate may get scratched when you are using the wok ring over it. What is the size of your wok? You must realize that you won’t use the same wok ring for a 16-inch wok as you do for a 12-inch wok. There are different sizes that will suit your different wok sizes. What do you intend to use the wok ring for? 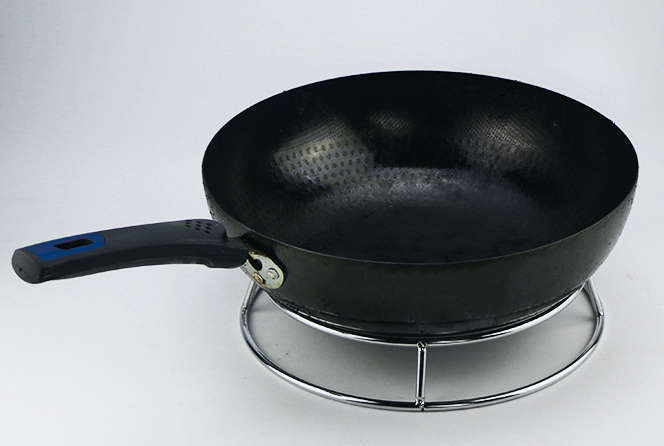 Most wok rings are ideally meant for maintaining the wok stability over the heated surface. However, some wok rings can also help in holding the platter on the dining table for easy service. So, do you want it for service too? Do you want it to concentrate the heat on the bottom of the wok? With this, you can buy the stainless-steel wok ring. What estimated budget range do you intend to invest in this item? As always, you can get something that suits your budget. However, it’s important to conduct a research so that you buy an item that gives you longer service. You might not see the essence of a wok ring but if you are going to buy the round bottom one you need the wok ring.
. It offers quality service at a reasonable price.